第十六屆江蘇農業國際合作洽談會（簡稱“農洽會”）will be hold from 9/26 to 9/28 in 鹽城市 by 江蘇僑辦海協會. You will find an invitation / introduction and application links below. 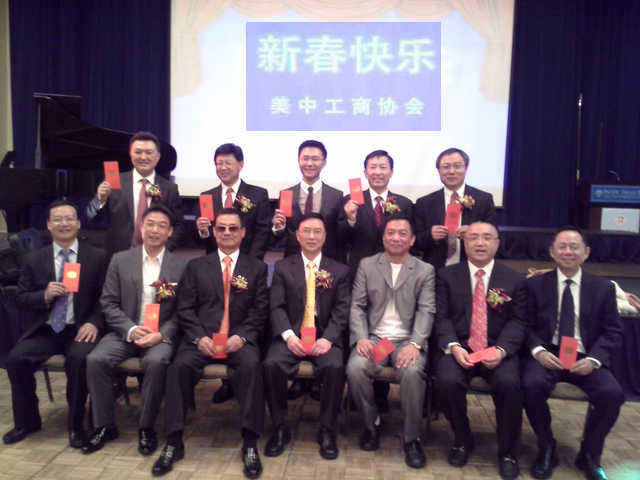 Please email your application to Cheng Lu if you are interested in attending the event. Chinese CEO will organize a delegation to attend the event. HKASC will have their annual meeting and join networking mixer on 9/23 (Tue). 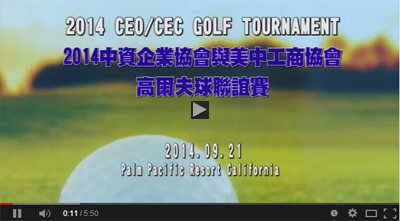 They are inviting CEO members to join them. If you are interested in going to the event, please email Danni Zhang at dzhang@blankrome.com for RSVP. 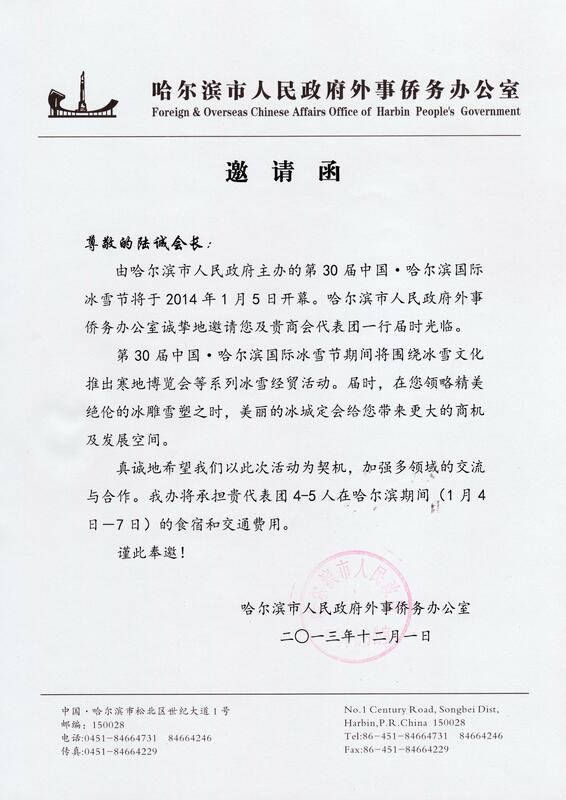 2014華僑華人創業發展鎮江洽談會will be hold from 6/21 to 6/23 in 鎮江市 by 江蘇鎮江僑辦。 You will find an invitation and application links below. 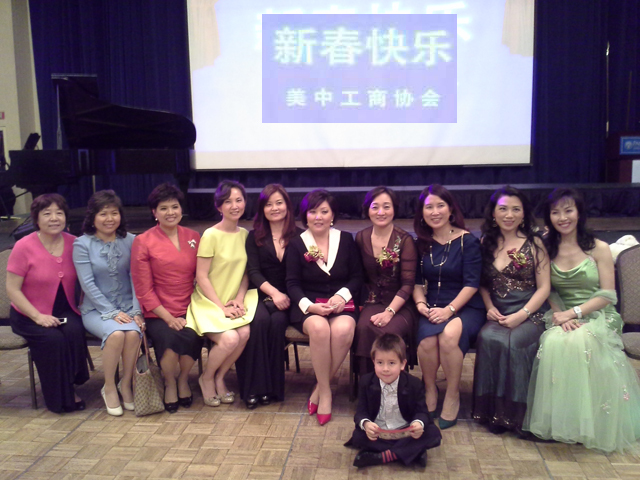 Please email your application to Cheng Lu , if you are interested in attending the event. Chinese CEO will organize a delegation to attend the event. 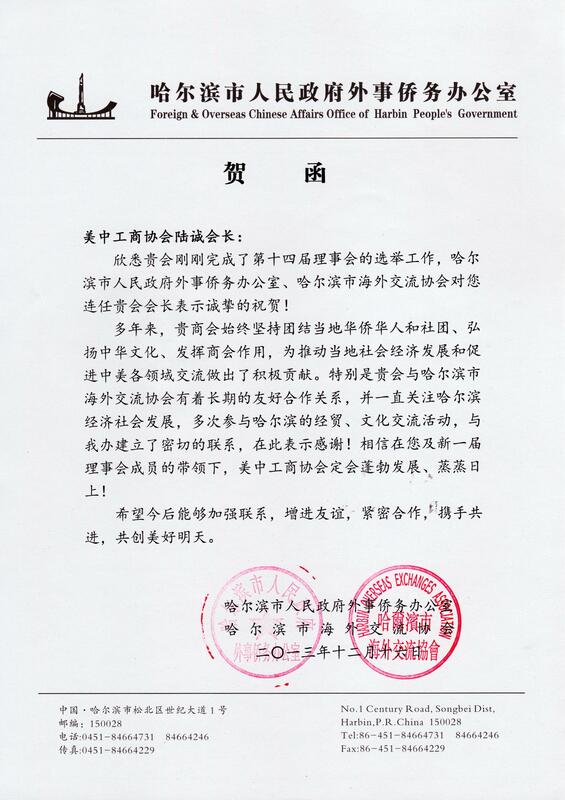 2014僑商北京洽談會（僑洽會）will be hold from 5/31 to 6/1 in Beijing by 北京市僑辦. You will find an invitation and application links below. 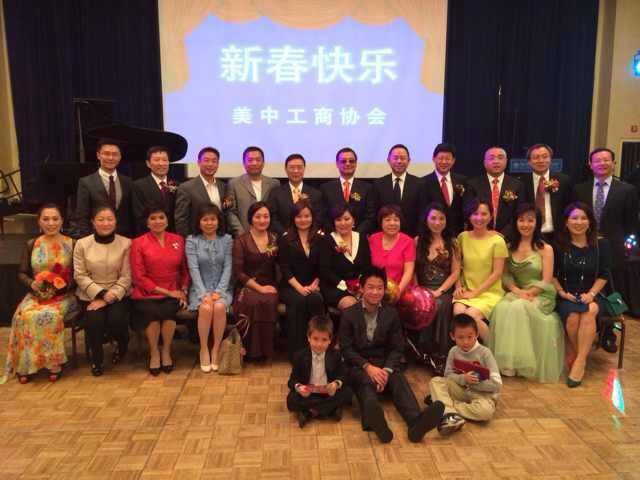 Please email your application to Cheng Lu , if you are interested in attending the event. Chinese CEO will organize a delegation to attend the event. 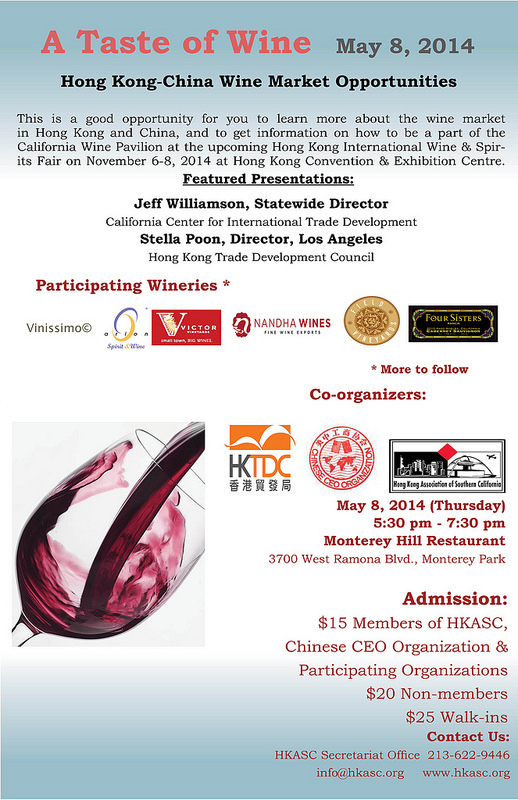 All CEO members are invited to join us for this exciting wine tasting reception and learn about the wine market in Hong Kong and China. 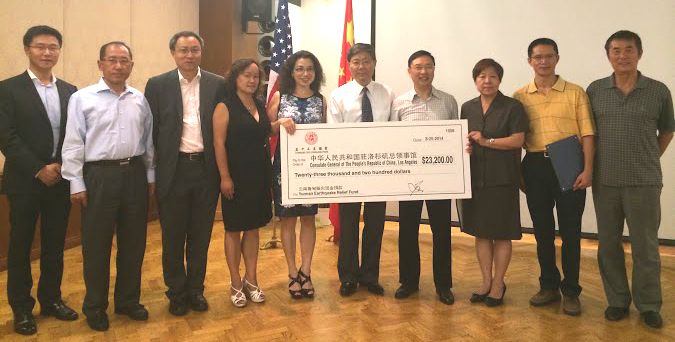 All CEO members are invited to Huntington Library's private seminar on Charity Planning for the Chinese Garden on May 4 (this coming Sunday). This afternoon event addresses tax and charitable planning. If you are interested in attending, please RSVP to Vanassa Mau ASAP. Details of the event can be found on the attached invitation. Please join the CEO luncheon forum on Real Estate and Security Investment host by Diana Kaplan, Marlynn Ma and Gene Chang at Pacific Palms Resort on 4/29 (Tue). You are cordially invited to join the luncheon forum. Please join the Asia Society and Rhodium Group for the launch of a new report on the Chinese investment surge in U.S. high tech. What are the hottest sectors drawing the most Chinese investment? Which Chinese firms are leading the surge and what is driving them? What are the economic and political factors behind these investments, and what are the most serious challenges they face? What is the impact on U.S. jobs, the tax base, and national security? 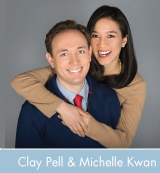 You are invited to a reception on March 24th in honor of Michelle Kwan (關穎珊) and Clay Pell. Michelle Kwan is an Olympic figure skater and her husband Clay Pell is a Rhode Island gubernatorial candidate. Please find the invitation link below. Please RSVP to Amy Gabarra at Amy@ClayPell.com or (401) 996-3365. We look forward to seeing you at CEO's 14th Board & President's Inauguration Dinner in Feb 2014 and many of the exciting CEO events next year! 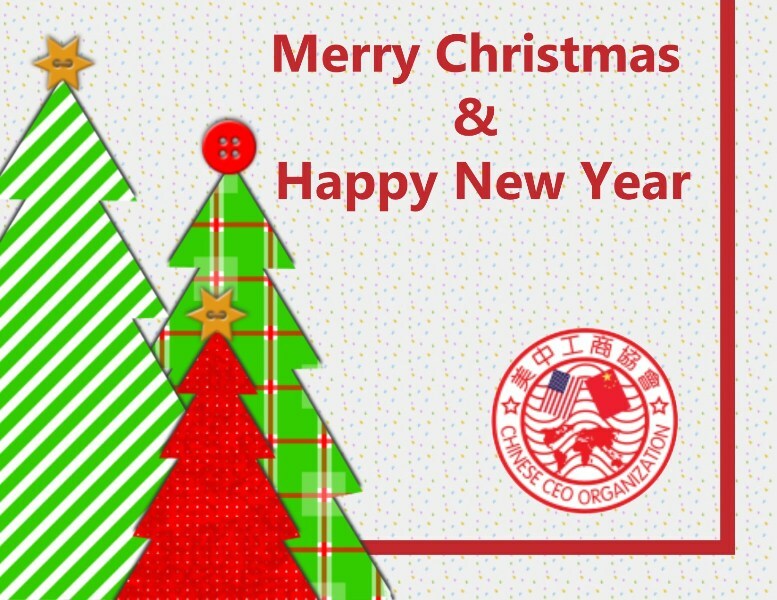 Best wishes to all of you and your families for happy holidays and a great new year!